If you personally know me, then you know for my 20 years of life I have never worn red lipstick. I was afraid of it, until this fall. I don’t know what it was, but one day I woke up and put it on and I haven’t stopped wearing it since. 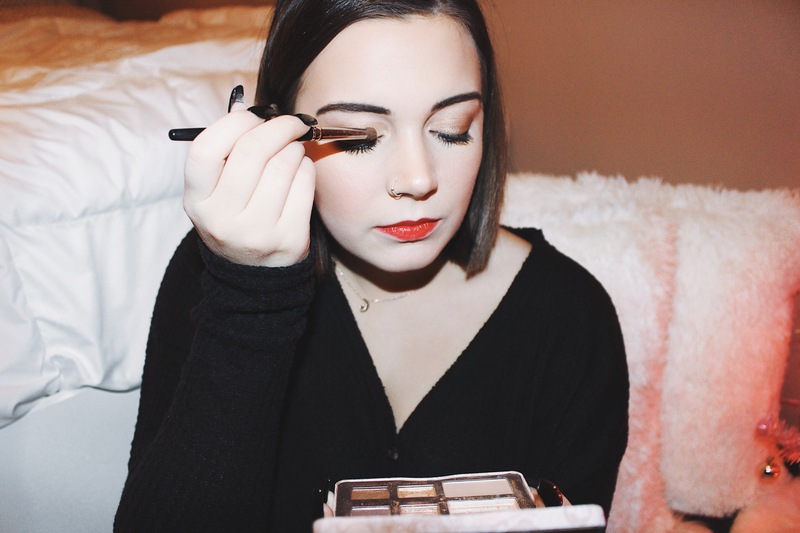 Now that there is a week till Christmas Eve, I think it’s time to start thinking about Holiday Glam aka makeup! I’ve always loved the traditional red and gold holiday theme so for this makeup look I used a gold eyeshadow with a bright red lip! I’m obsessed with how this looks together and I’m so excited to share it with you! This makeup look is actually super easy to create! 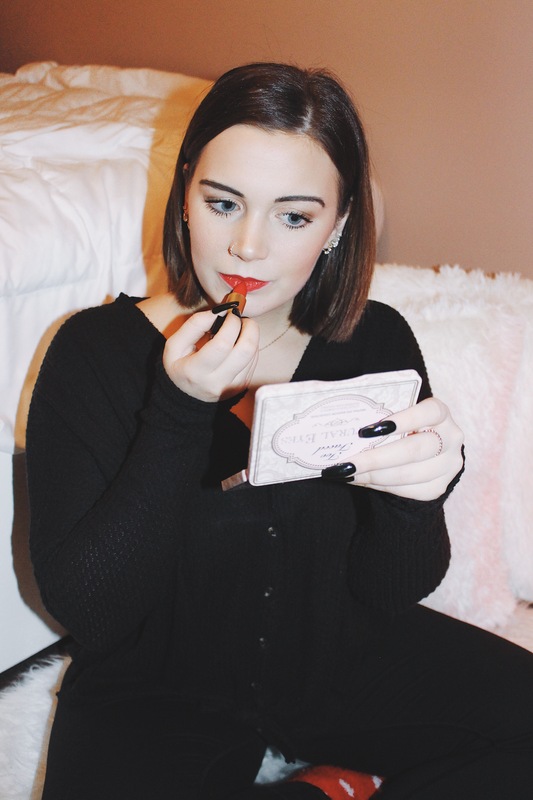 Check out my Everyday Makeup Routine to learn the products I use! To re-create this look, all I did was put the gold shimmer ‘Honey Pot’ eyeshadow on my lid to have the gold be the focus of my eye look! It’s not a harsh gold either, which I love because if it were harsh, it would clash with the red lip. This is such an effortless, soft, and easy look for the Holidays. I cannot wait for the Holiday and to celebrate with my friends & family! This makeup look will be on repeat until Dec 31st haha. I hope you all enjoyed this post! Thanks for reading & Happy Holidays! Red lipsticks looks great on you! Awesome job getting out of your comfort zone.